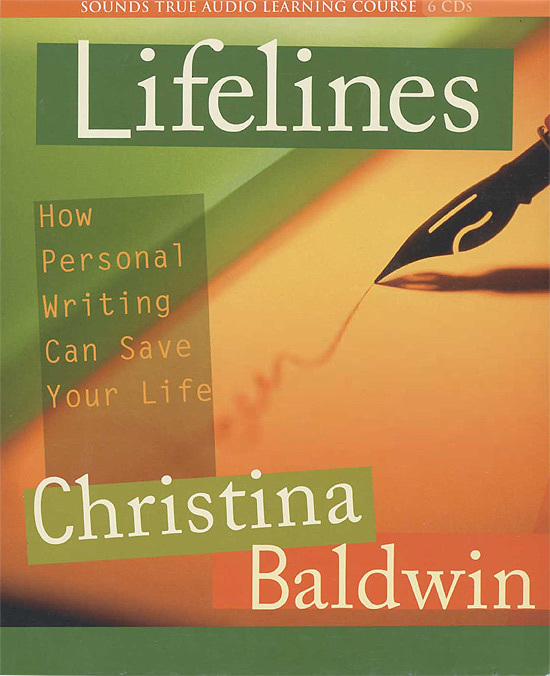 Writing is a ‘lifeline’, claims author and teacher Christina Baldwin. It can guide you through life’s transitions, reveal parts of yourself yearning to be expressed, and even transmit the essence of who you are to inspire future generations. On the 6 CD set Lifelines, Christina shows you how to save your life in all these ways and more – with only a pen and paper or a laptop. For over thirty years, Christina has been expanding her knowledge of the ways writing can organize your life, reveal the deeper meaning in life experiences, and map uncharted territories within you. Now, for the first time, you have access to Christina’s stories, wisdom, and most powerful techniques, together in one comprehensive audio course. 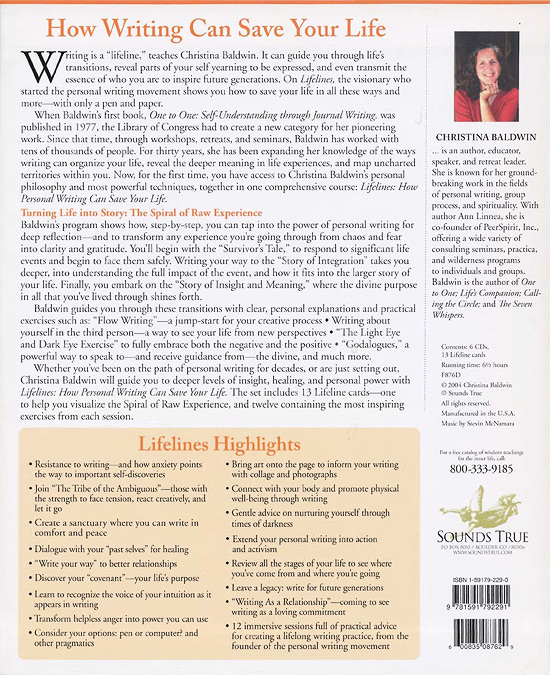 Lifelines is designed to augment your experience of Christina’s books Life’s Companion and Storycatcher. 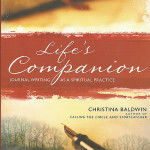 When Baldwin’s first book, One to One: Self-Understanding through Journal Writing, was published in 1977, the Library of Congress had to create a new category for her pioneering work. 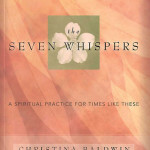 Since that time, through her workshops, retreats, and seminars, Baldwin has worked with tens of thousands of people. For thirty years, she has been expanding her knowledge of the ways writing can organize your life, reveal the deeper meaning in life experiences, and map uncharted territories within you.